Anti-Climate Change Studies from Harvard sponsored by Exxon Mobile! A little dossier came my way, I am sure this is not new or even hot news. Since the Exxon Mobile has been well-known for producing evidence of lacking results in the Anti-Climate Change paradigm. Therefore, reading up on one study that was fixated and well-funding studies to Dr. Willie Soon at the astrophysical Observatory at the Smithsonian at the prestigious Harvard University. So you can see particular program that the Exxon Mobile bought to deflect the temperature of the sun over decades of time, so they could show that no evidence that the sun and solar evidence was there. This was done with corporate studies in a trusted institution where a doctor we’re bought and where the set of project studies was tailor made for the outcome that Exxon Mobile wanted. They paid for this. So that the Dr. Soon would get paid for his work and rubberstamp a belief the Oil Company had. This was apparently done in full knowledge of the University. Take a look! “Hi Willie – the proposal looks fine. Please have the Center send me an invoice for 2008, for General Support for your work. Can you clarify for me, on page two there’s a reference to “original” and “review” papers – does that mean not peer reviewed, and peer reviewed? I’d love to see a copy of the DVD. Who is releasing it – Smithsonian? Exxon Mobil Corporation” (Lauren Kerr – ‘Re: would it be OK for me to submit my sun-climate research proposal to Exxon-Mobil for 2008 support?’ (14.01.2008). Thanks very much for getting back to me last week about ExxonMobil’s support of Dr. Willie Soon’s research. We are very pleased at the outcome of this decision. I am attaching a proposal for your review and a request for payment. You may recall that I mentioned the adjustment in our indirect costs upwards from the 15% that Walt Buchholtz and I negotiated when he was still in your position. You will see in the attached that the project cost increases to -$76,000. I look forward to hearing good news from you soon. Amanda” (Amanda Preston – ‘Proposal to Support Dr. Willie Soon’ 27.02.2008). “Dear Mr. Boudreaux: Thank you very much for Exxon Mobil’s contribution of $76,106 to the Smithsonian Astrophysical Observatory to support Dr. Willie Soon’s project, “Understanding Solar Variability and Climate Change.” Restricted gifts are very important for our science re9C81Ch. Particularly the projects that seek to better understand our own Sun” (Amanda Preston, 11.07.2008). “I received an email from Judith Batty at ExxonMobil about the $76,106 contribution for Dr. Willie soon’s research. I have attached the 3011 Transmittal Form from 4/2/09. You will see that $22,181.00 was allocated to task 40301770IS50AP. This amount is equivalent to the indirect costs that would have been charged if the gift had been a grant on instructions from Charles Alcock, I asked ExxonMobil to allow us to reclassify that amount as an unrestricted contribution” (Amanda Preston – ‘2009 ExxonMobil Gift of $76, 106’ 21.01.2010). “This proposal seeks $76, 106 from ExxonMobil Corporation for year one of this two-year project, “Understanding Solar Variability and Climate Change: Signals from Temperature Records of the United States.” Dr. Willie Soon proposes to conduct an intensive up-to-date science review of solar variability and climate change (see e.g., Soon 2007a), with emphasis on the signals from temperature record of the U.S. that will be a clear improvement of previous studies. The goals for the first year are to collect and assess the scientific quality of available temperature records from the United States, aggregated into four inter-related spatial domains: 1) a rural city (i.e., a city that is minimally disturbed by urban development), 2) an individual state, 3 regional U.S. area, and 4) the who1e contentious U.S. The goals for the second year are to study any plausible connection of these U.S. temperature records with estimated solar irradiance history for the past 112 years from 1895 to 2006” (…) “Soon (2007a) calls for the solar physics community to firmly establish this value emphasizing its great importance in establishing the mean climatology in climate models. The mean climatology in climate models can be subjected a rather arbitrary turning given that the absolute level of total solar irradiance is not determined to any level of confidence, with values ranging from 1372 to 1360 W/m2” (Smithsonian Astrophysical Observatory – ‘Understanding Solar Variability and Climate Change: Signals from Temperature Records of the United States – A Proposal to ExxonMobil Corporation’ (February, 2008). Another Corporation that support his science against climate change! So this here is proof of science paid by the petroleum giant of Exxon Mobile. That they could fix and make assured they are getting the results they want out of a program. So that the University and the Dr. Willie Soon who fixed it so they followed the agreement done with Exxon Mobile. Therefore the studies doesn’t seem legitimate or feasible when the business controls the studies and science instead of the own independent scientists who finds the result in the material, instead of already deciding the result before the study. Peace. 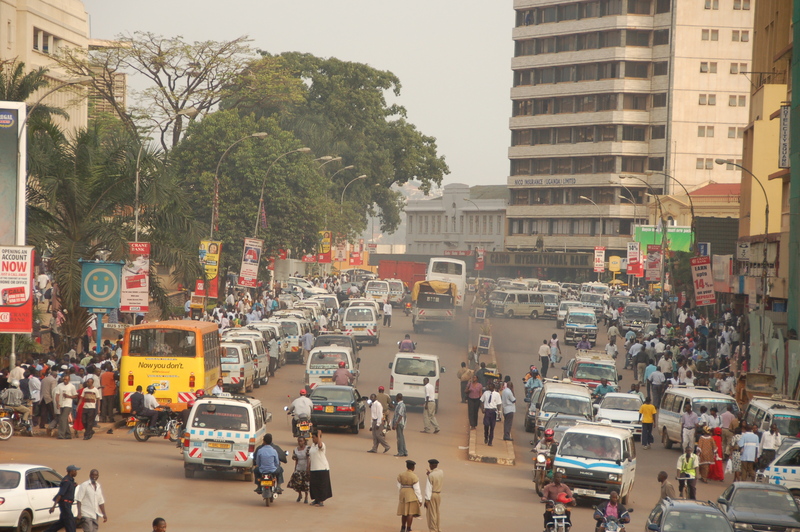 KAMPALA, March 03, 2015— Uganda’s urban population will increase from six million in 2013 to over 20 million in 2040. 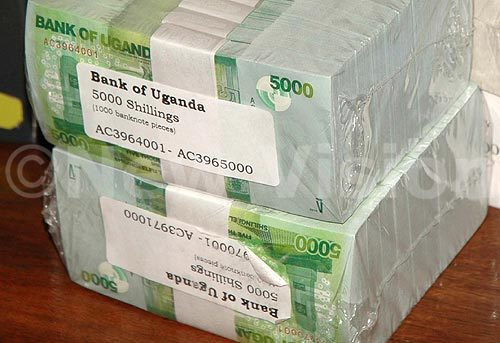 Policy makers need to act now to ensure that this rapid urbanization is managed well, so it can contribute to Uganda’s sustainable and inclusive growth, a report released today by the World Bank Group shows. For the first time, the report compares data on urban areas and their populations in a consistent manner across Uganda, providing governments and local leaders with analyses to improve planning and coordination to deliver better services, jobs and opportunities, making cities more competitive. The Fifth Uganda Economic Update, titled: “The Growth Challenge: Can Ugandan Cities get to Work?” focusses on urbanization and notes that while the majority of the population is still concentrated in rural areas, non-agricultural economic growth and jobs are concentrated in urban areas. The report shows that while cities can help propel growth, the speed of urbanization is challenging and can lead to congestion and strain infrastructure, lowering productivity. The Update has been prepared to assist government in ensuring that its cities are ready to accommodate the increasing number of residents expected to settle in urban areas and able to facilitate the growth of business enterprises, thereby creating opportunities for productive employment for a greater proportion of city residents. Policy makers at national and municipal levels have an important role to play in ensuring that urbanization is sustainable and inclusive by ensuring that land and property rights are conducive for increasing economic density of cities. They will also have to improve mobility through better transport infrastructure and systems, as well as improve living conditions through better housing policies. Furthermore, it will be critical to improve access to social services such health and education; and levelling access to, and quality of, public services such as water and sanitation services. Nairobi, March 5, 2015—Buoyed by falling oil prices, Kenya’s growth is projected to rise from 5.4 percent in 2014 to 6-7 percent over the next three years (2015-2017), making it one of the fastest-growing economies in Sub-Saharan Africa according to the latest Kenya Economic Update (KEU) published by the World Bank. The eleventh edition of the KEU notes that external and internal balances are expected to improve significantly, thanks to falling oil prices. In addition public investment in infrastructure, mainly in energy and standard gauge railways, will strengthen growth in the medium term. The report says that the country’s expansive fiscal policy allowed it to finance major infrastructure projects without putting excessive pressure on domestic financing. “Kenya’s accommodative monetary policy stance has supported economic activities without triggering inflation or putting pressure on the exchange rate.” said John Randa, World Bank Group’s Senior Economist for Kenya and lead author of the report. Sluggish demand for exports and their declining production is widening the country’s current account deficit. The report suggests that in order to anchor and sustain growth, Kenya needs to boost productivity and improve the business environment to regain and increase its competitiveness. In recent years the manufacturing’s contribution to Kenyan exports and growth has fallen behind and performance has been less than optimal. “Kenya needs to increase the competitiveness of its manufacturing sector so that the country can grow, export, and create much-needed jobs, said Maria Paulina Mogollon, World Bank Group’s Private Sector Development Specialist and a co-author of the report. A strong manufacturing sector will create more employment, especially for young people in Kenya. The report suggests that this will also increase exports and reduce the country’s external vulnerability from a widening account deficit. The report highlights key steps for Kenya to take including implementing the business reform agenda, completing reforms at the port of Mombasa, improving the efficiency of its massive infrastructural projects, strengthening governance, improving productivity, and continuing to maintain macroeconomic stability. The KEU is prepared by the World Bank in collaboration with stakeholders from the government especially the members of the Economic Roundtable who include the Ministry of Devolution and Planning, Ministry of Industrialization and Enterprise Development, Central Bank of Kenya, Kenya School of Monetary Studies, Kenya Vision 20130 Secretariat, Kenya Institute for Public Policy Research and Analysis, Kenya National Bureau of Statistics and the International Monetary Fund. Amuru Woman MP by-Election – Aftermath. The Inter Party Coalition (IPC) candidate Lucy Akello has been announced the winner of the Amuru Woman MP by election.